Exercises to revise the words before the end-term exam. 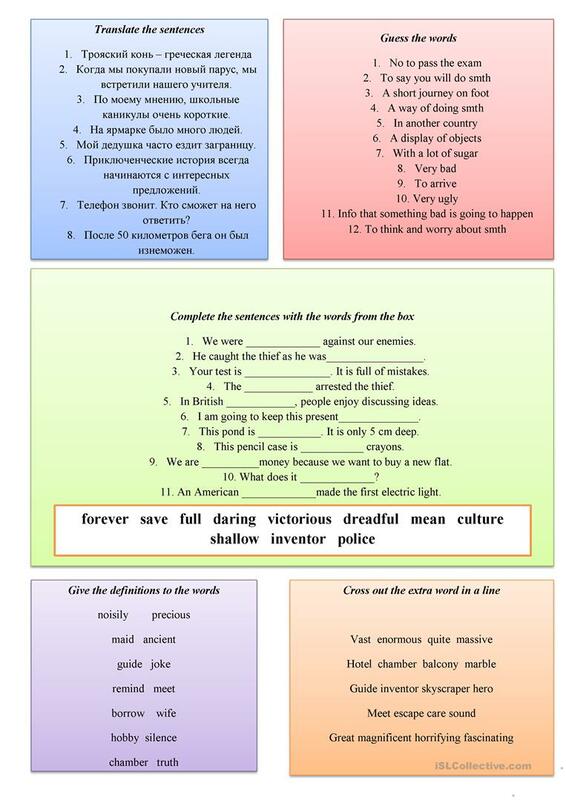 this worksheet has five basic exercises, such as translation from Russian into English, guessing the word from the definition, sentence completion and crossing out extra words from each given line. The present downloadable printable is meant for high school students at Pre-intermediate (A2) level. It was designed for honing your students' Writing skills.